Get powerful sound and a sleek design with the JENSEN® SMPS-750. 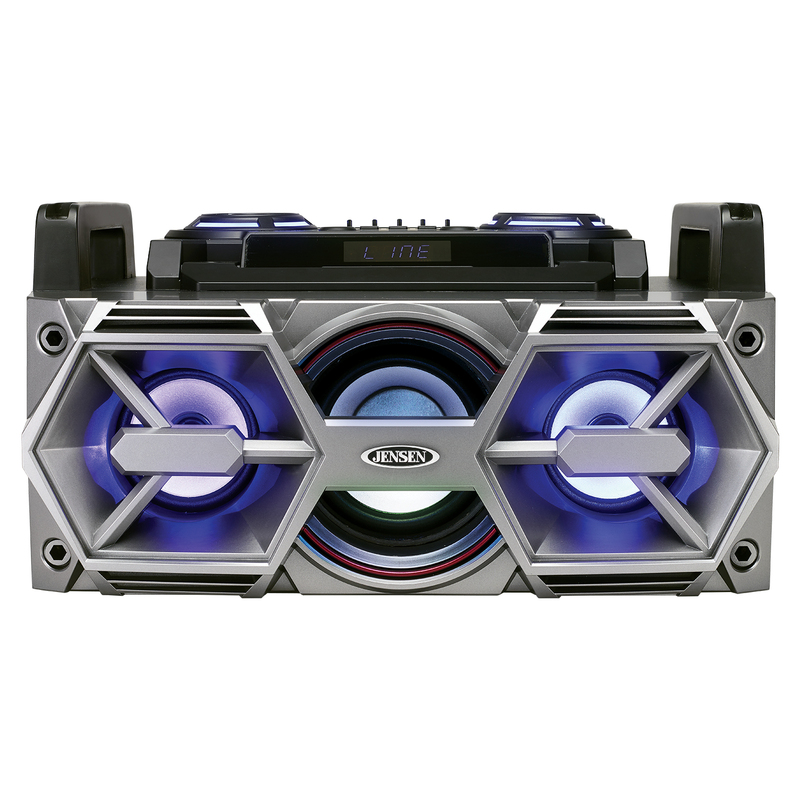 This all-in-one Bluetooth 2.1 music system includes Bluetooth® streaming technology and delivers bass you can feel. 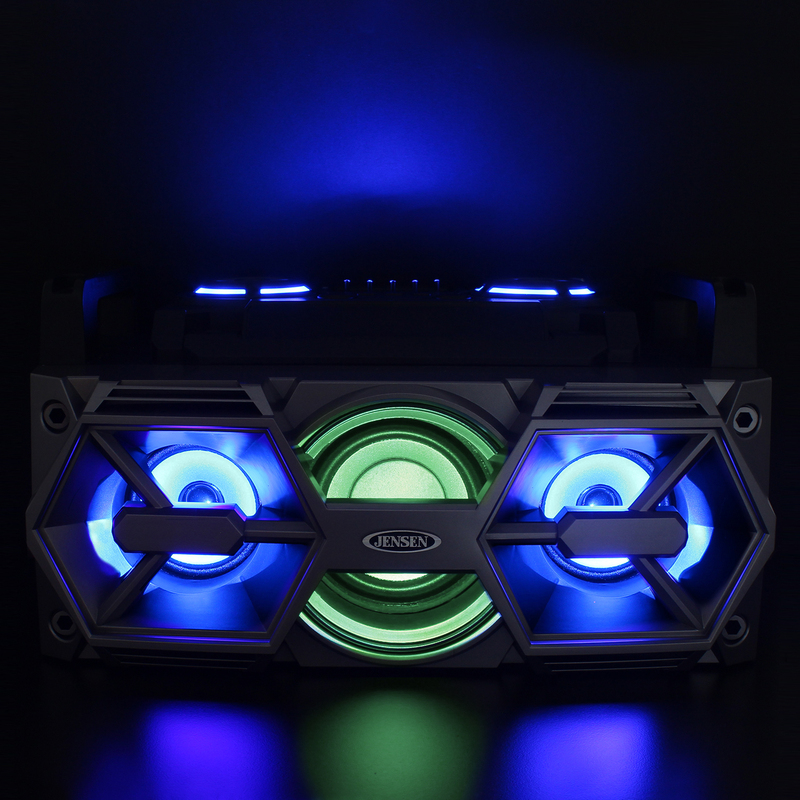 Separate bass and treble controls along with a 5 band graphic equalizer let you customize the sound to fit the music, or the room. 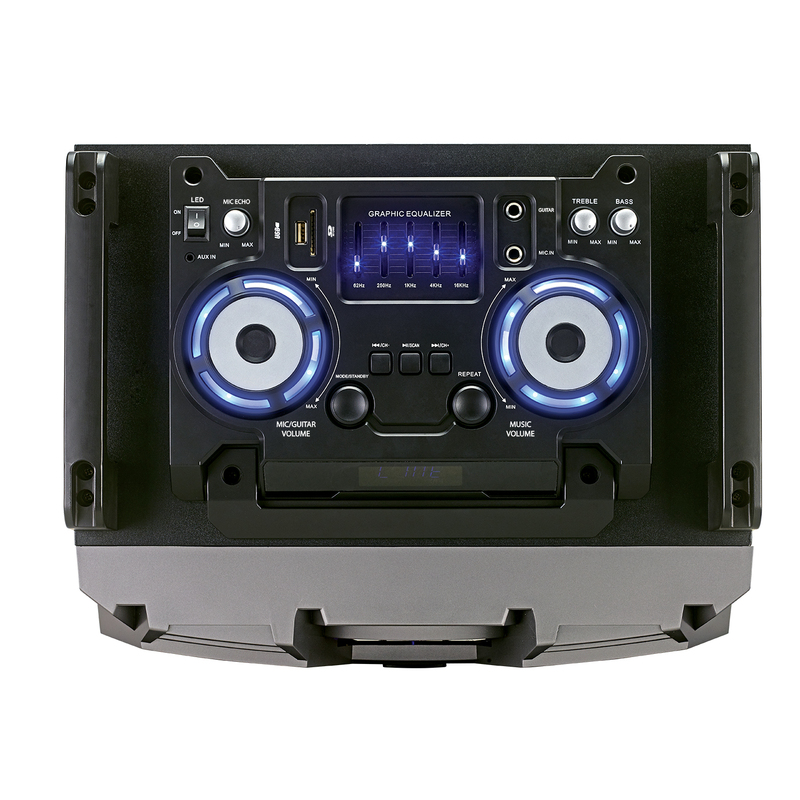 The top mounted volume controls, EQ sliders and front mounted speakers include blue accent lighting, and the front mounted subwoofer has built-in pulsing lights to help set the mood and get the party rolling. 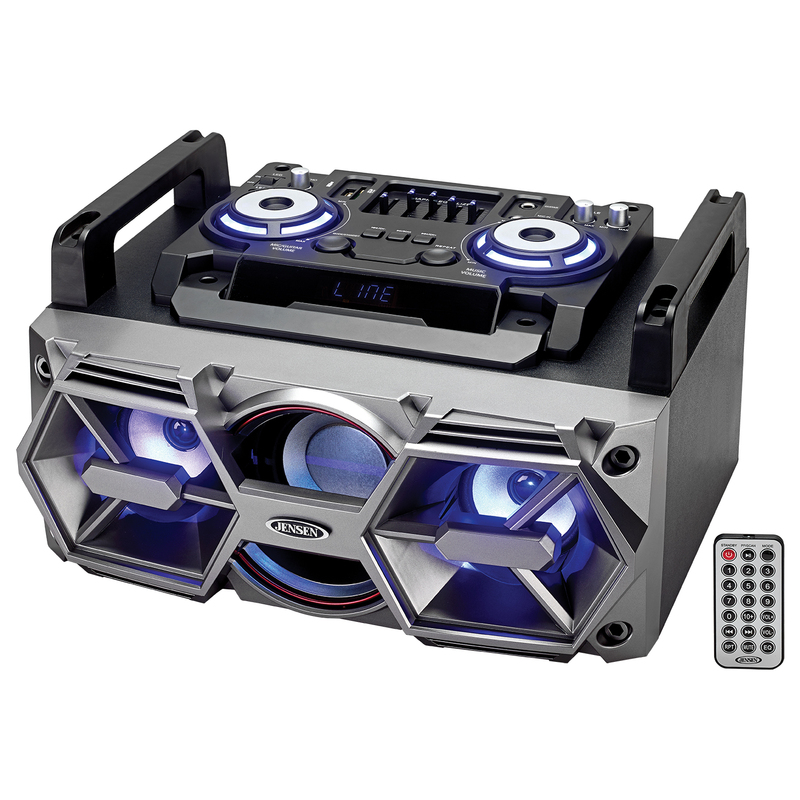 Listen to the FM stereo radio or play your music from one of the four different options that this unit includes. Play MP3 files directly from a flash drive or SD card using the USB port or SD card slot, stream wirelessly via Bluetooth or plug into the auxiliary line-in. Separate microphone and guitar inputs have their own volume and echo controls, so plug in a microphone and use the system as a PA, or sing along with the music. 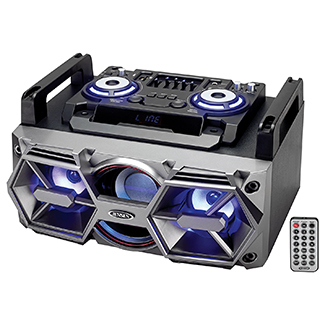 The unit features two 10W (RMS) speakers and a 25W (RMS) front mounted subwoofer, a remove control and operates on AC power.